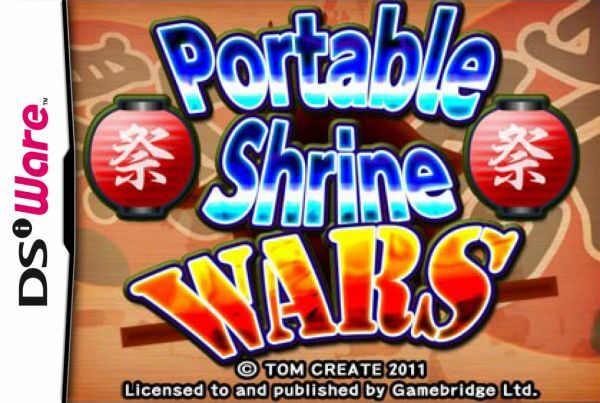 In Portable Shrine Wars teams of Mikoshi (portable shrine) carriers go head to head in a fast and frantic competition. 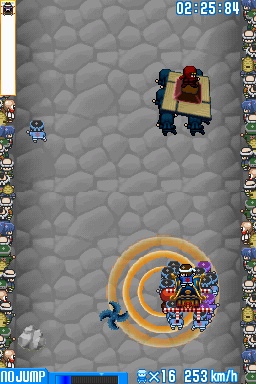 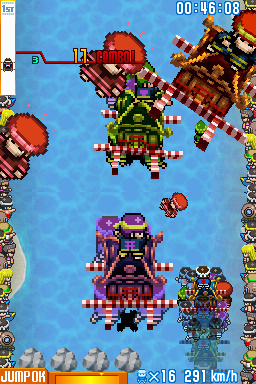 You have to barge opponent mikoshi’s into the crowd or fling team members at them to send them crashing to the ground. 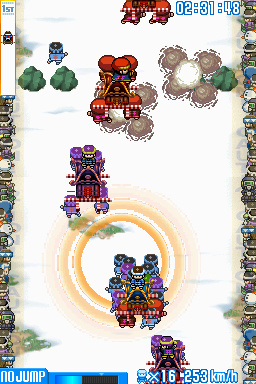 As you run past you can grab any men that have fallen from their mikoshi to recruit them. 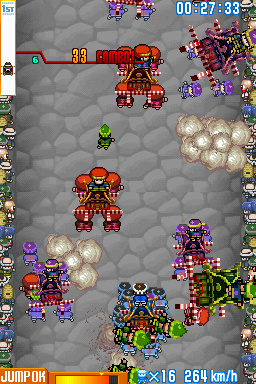 The more men you have the faster you can run carrying the mikoshi and the more human-ammunition you’ll have. 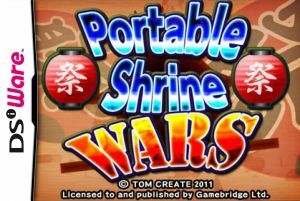 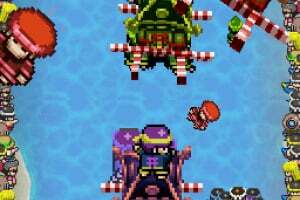 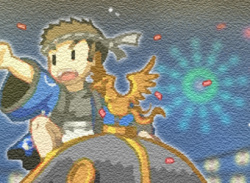 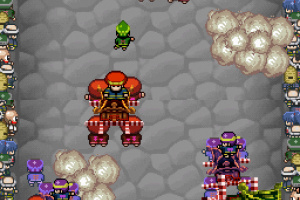 You’ll need to battle giant festival bosses and mikoshi ninjas while avoiding pit holes and other obstacles. 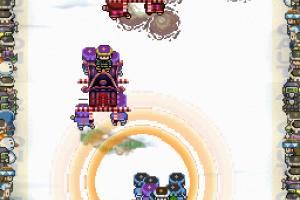 Nowhere to be seen on European eShop.